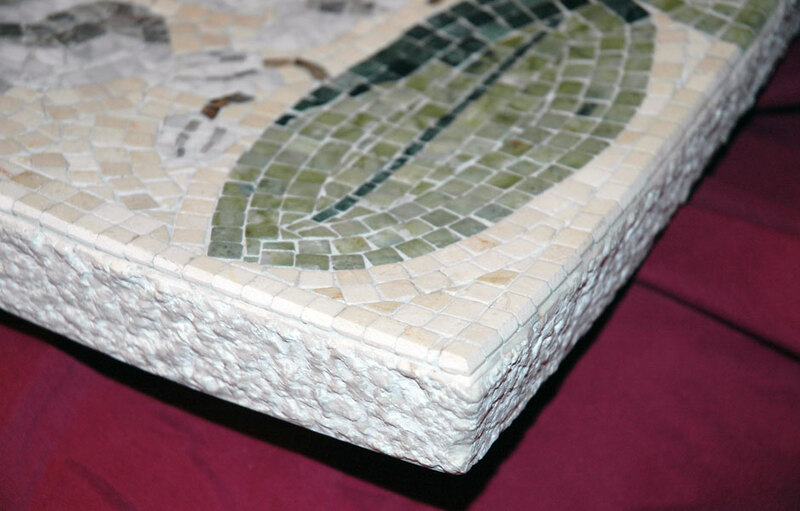 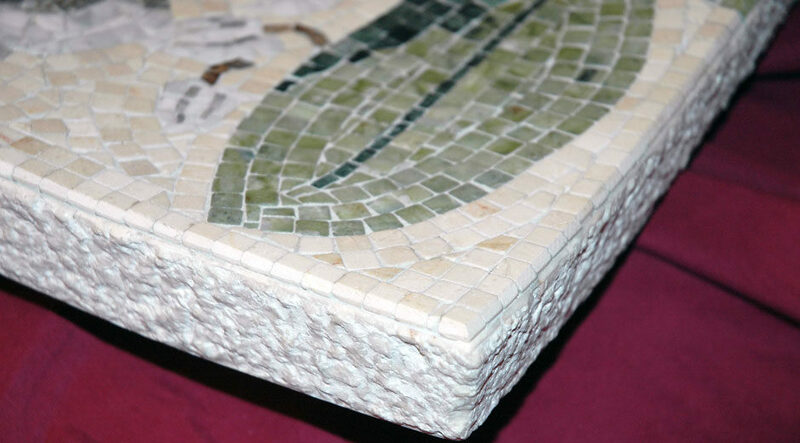 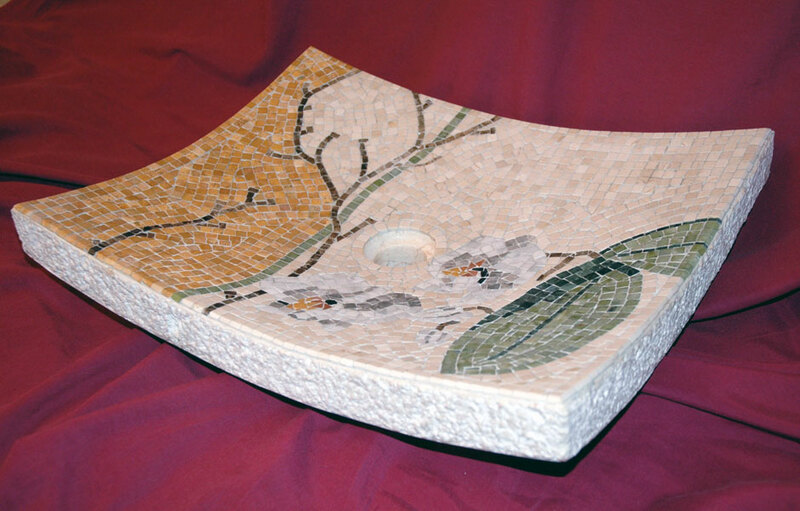 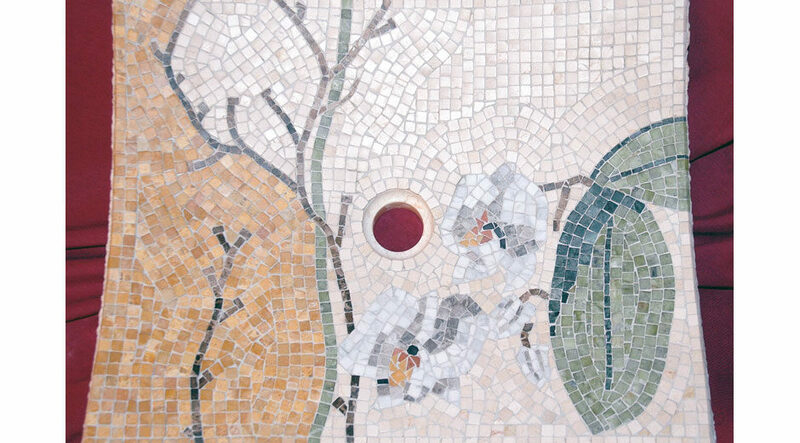 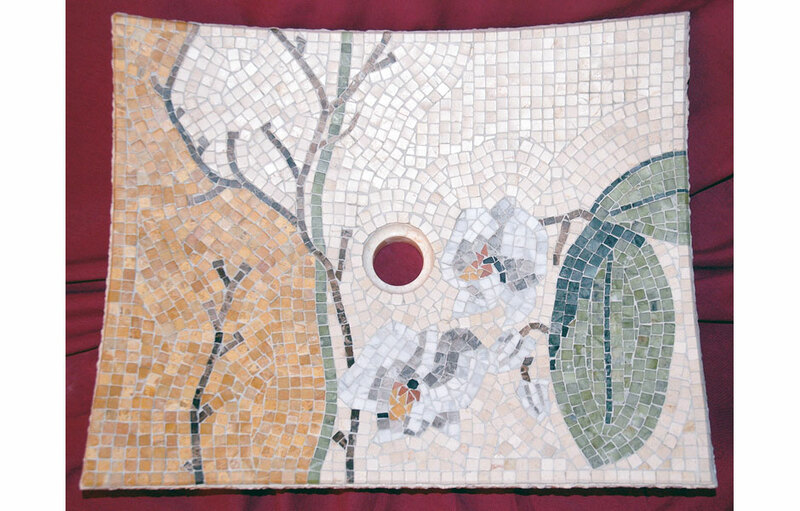 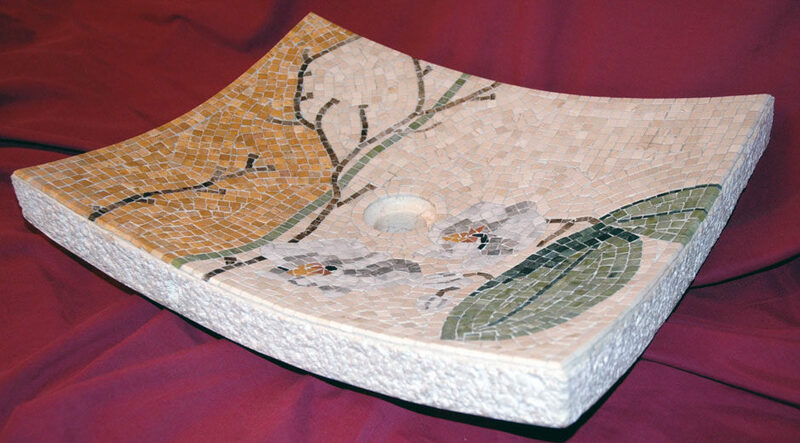 Creation of a marble mosaic artwork on a natural stone basin, as a unique piece. 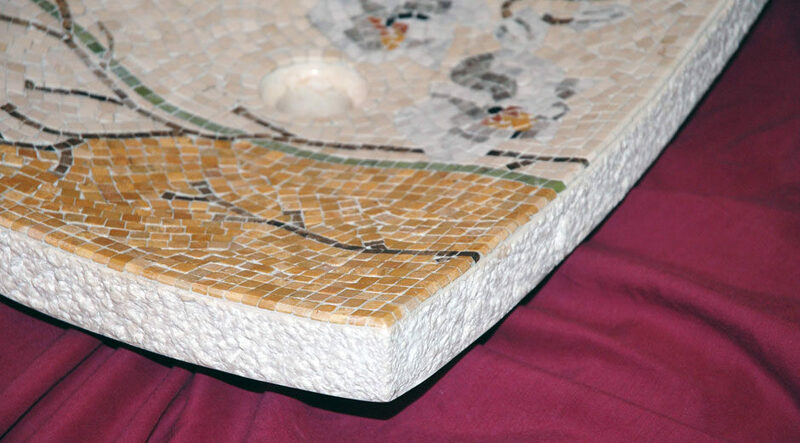 Realisation from plane marble cut with the mosaic artist professional tools: hammer and hardie. 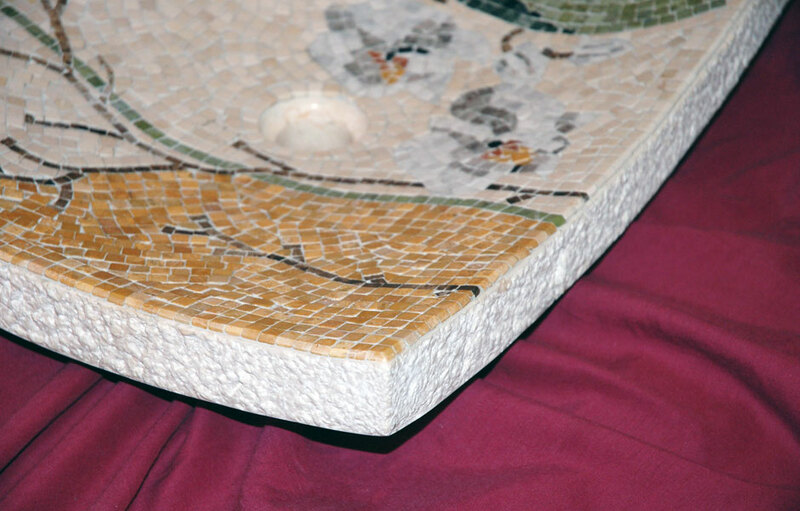 Mosaic floral pattern (Orchid).